Bad news from Plymouth today: it froze before the last snow storm and now is covered in white. With dropping temps throughout the coming week it will not recover.  But the cold may begin to work on other local lakes. 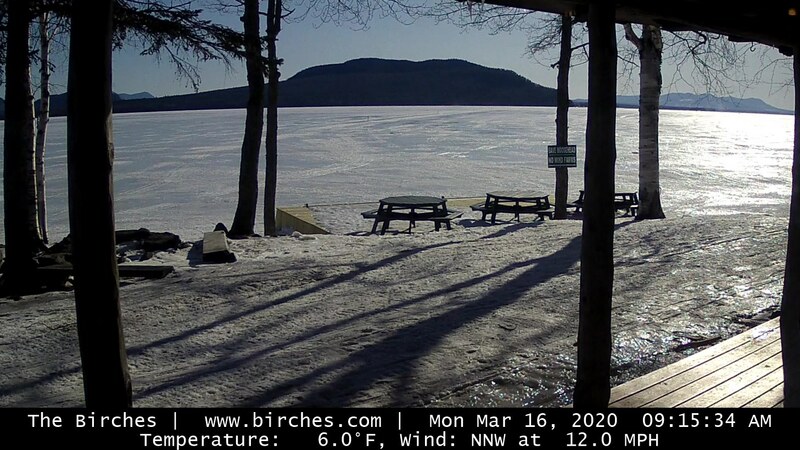 Bog Bridge on Lake Megunticook has three inches of frozen slush upon which Jory Squibb skated today. Unity Pond was 80% frozen this morning with about an inch, but strong north winds reduced that to less than half. The good news is that the frozen half of the pond is the south end, where the boat launch ramp is. The winds are abating this evening and temps will be in the single digits tonight and tomorrow night. 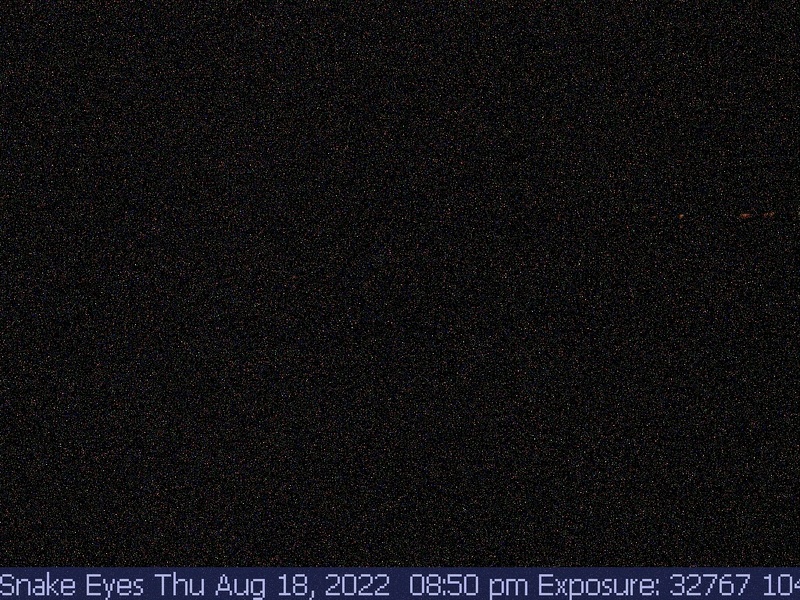 Unity Pond appears to be the best bet so far.We’ll let you know how it shapes up in the next couple of days. 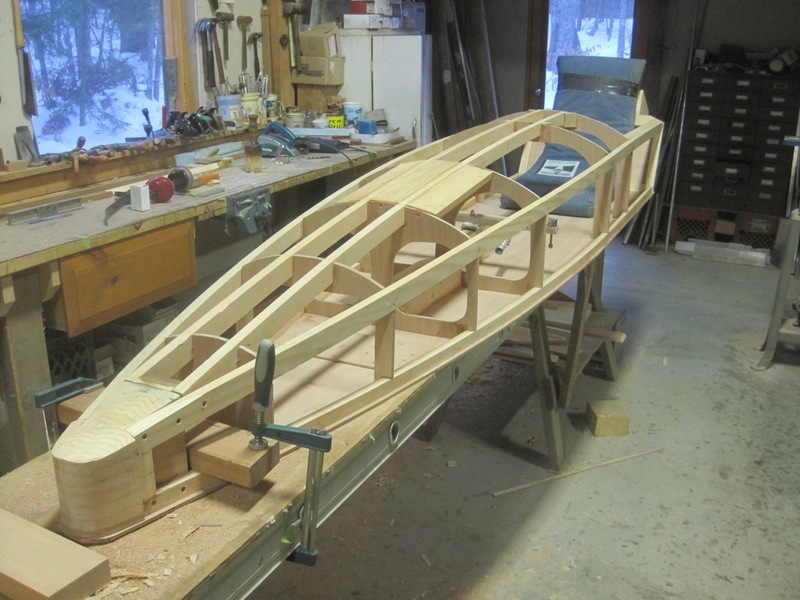 Meanwhile, back in the shop, we’ve been mentoring a high school junior with an iceboat project. His school gives the kids a full week between semesters in which to engage with a mentor and work at least forty hours on a project of their choice. 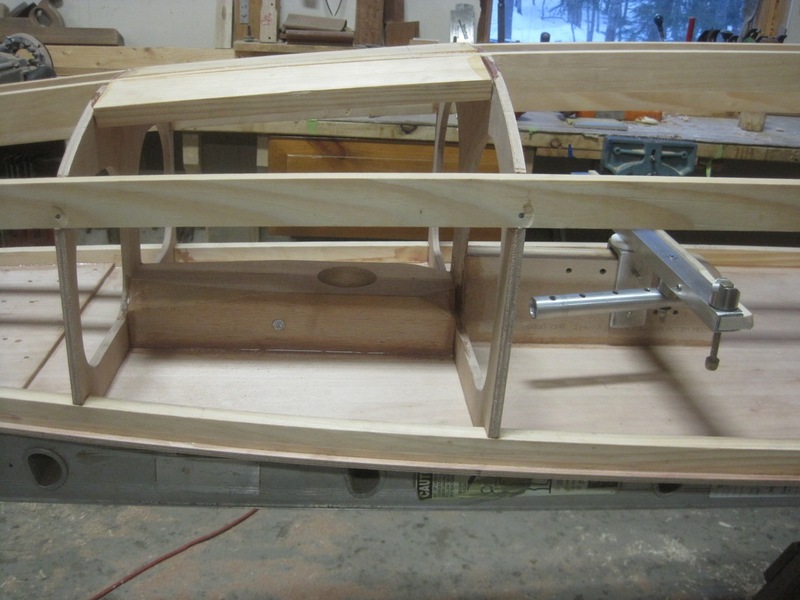 We’ve been building the Mini-Skeeter, designed by John Elsinore. Free standing mast, 7′ plank, no springboard, strip plank deck, ten feet long. Old hardware from Tom Nichols and Cody Sisson are in there somewhere. Super comfortable recumbent seating position. Warren, the builder, is committed to having her on the ice this winter. He’s even skipped a number of ski team practices to work on his boat: priorities in order! 2 Responses to Where’s The Ice? Strong winds and above freezing daytime temperatures has kept ice from forming here in central Massachusetts. Should change next week with lower temperatures.